Actions: Vitamin C, also known as ascorbic acid, is widely used in nature in many fruits and vegetables. This vitamin is recognized and extensively used today, not only to give tone and form, but also for its beneficial health-giving properties: antioxidant, immunity stimulant and protection. 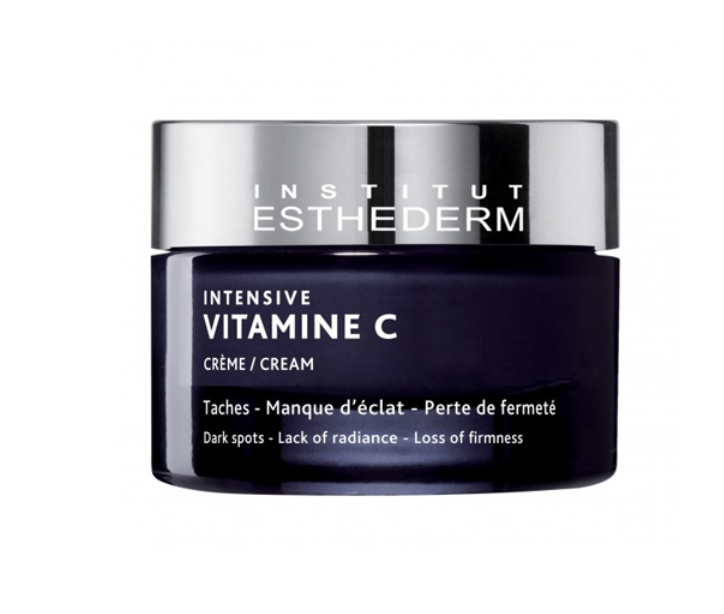 Vitamin C plays a role in the skin on three basic levels: participating in the synthesis of collagen, slowing down pigmentation mechanisms and fighting against the harmful effects of free radicals. A powerful but very unstable biological agent, Institut Esthederm needed twenty years of advanced research to develop this highly refined and stable concentrate. Powerful for results! Indications: For all skin types. Mature skins. For those skins in need. Results: Skin that is restored and nourished. Skin that is repaired. Instructions for use: Apply morning and evening to clean, dry face and neck. Excellent make-up base. Truly wonderful benefits when used in combination with Intensif Vitamin C Serum as the percentages are so much greater for results. Remember when using both product always apply the serum first!